" Am I my brother's keeper?" Is it the Government's responsibility to help the poor? Is it the Government's responsibility to help the poor? affluent bears a striking resemblance to socialist principles. However, the government of the United States of America is not a direct democracy, but it is a republic, because the constitution of the united states grants its citizens unalienable rights that," shall not be denied or abridged by the United States or by any State on account of race, color, or previous condition of servitude." However, the United States government is also a representative democracy, for representatives are voted into political offices by constituents with the expectations that politicians represent their preferences. Therefore, The United States' government is a democratic republic. The economic system of the United States: Is capitalistic; in a free market economy according to Karl Marx Proletarians, workers who did not have means to production and had to survive by selling their labor. It is common knowledge and widely accepted that Marx believed that the class of wage earners created by the capitalist would inevitably revolt against the capitalist class and create a classless socialist society. Does the current social and economic system devalue community? Do the needs and interest of a few outweigh those of the majority? Is the current social welfare system a form of social control? Is it the government's responsibility to help the poor? Reciprocity: Is the phenomena in which social relations are maintained; the premise simple assert that one should return the kindness that others have extended to them. According to this principle, individuals are bounded to repay acts of kindness and generosity that others extend to them through similar means. As an adolescent I can recall being bothered, disappointed and, yet grateful during the Christmas holidays; my parents whom worked so hard, and at times my mother worked two jobs in order to help provide for my two younger brothers and myself; my dad who was an ex-service member worked for the county driving large trucks hauling material from one site to the next. 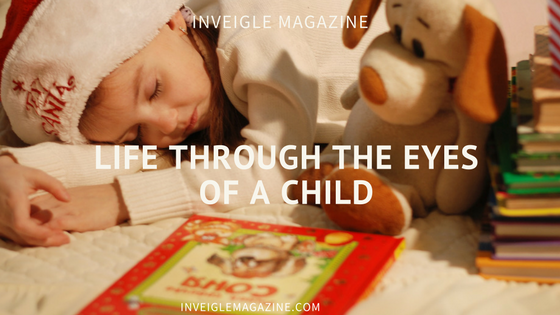 Life through the eyes of a child: I was so excited to help with the wrapping of presents on one occasion I can recall my mother saying," boy that's not for you." later loading the car with Christmas gifts visiting relatives and family friends exchanging Christmas gifts, but often times there was no reciprocation, or we would receive something I thought was lesser in value then my parents had given; board games where popular during those days, and at times we would end up with four or five monopoly games, each of us would receive a pair of handwoven gloves with a hat to match, or some other trinkets, and at the time that got my goat! My younger brother would say." Mamma, you always get them something, but they never give us anything!" My mother would say," boy; be grateful you have a roof over your head!" Chuckling to myself as I stroll down memory lane; that was one of my mother's favored sayings. Another one was," some people ain't got food to eat; be happy for what you got!" 83% of Americans identify themselves as Christians: As I matured I learned the true meaning of Christmas; I learned that is was the sentiment and symbolic meaning of exchanging gifts and giving gifts that were important; for the custom serves as a reminder of the gifts given to Jesus by the three wise men: Frankincense, gold, and Myrrh. I can truly say that I appreciate everything that was given to me, every act of kindness, and every lesson learned. Christmas can be a time of joy, but for many, it's a time of sorrow and heartache; as my mother would say," some people ain't got food to eat!" At times personal subjective values conflict with family, community, and social values. However, according to a new report released by N.B.C news; "83% of Americans identify themselves as Christians". Am I my brother's keeper!! Am I my brother's burden bearer!! Altruism: Is concerned with selflessness, and given without the expectations of future rewards, or reciprocity. Organisms are said to behave altruistically when behaviors benefit others at a cost to the organism. It has been argued that no act is truly altruistic; however, altruism is commonly practiced in parent-offspring relationships. One might argue that it is a parent's moral obligation to provide at least the basic necessities of life (food, water, shelter, protection..etc.) to their offspring. Individuals are motivated towards this end, because the act, or behaviors increase the probability of the perpetuation of their gene to future generations; therefore, the behavior is not true altruism, but egoistic( which assert self-interest is the bases of morality). This line of thinking asserts that siblings and, or a close relative are more likely to assume the parental roles of deceased loved ones as supposed to non-family members, yet siblings and close family members share some of the same genes with the children of deceased family members and loved ones. Therefore; may this fact could explain the reason that family members are more likely than the non-family member to adopt the kids of their siblings. From a Darwinian perspective altruistic behaviors may decrease the reproductive fitness of any specific organism; however, I have gravitated to believe that altruistic behavior increases the survive-ability of species as a whole. Am I my brother's keeper!! Am I my brother's burden bearer!! Poverty a historical prospective: In antiquity various societies acknowledge the unfortunate situation of poverty that was then and currently continues to plague communities around the world; therefore societies sought to address issues associated with destitute. The Mosaic laws covered every aspect of the lives of the Hebrew people, including providing aid and support to orphans and widows. As a result of frequent wars, famine, pestilence, poor health care life expectancy was much shorter in the ancient world than it is now in contemporary societies; often time leaving women and children to fend for themselves due to the loss of the family's bread winner and, or provider. According to ancient text widows and orphans were the primary beneficiary of the tithing. The ever evolving social welfare system: Am I my brother's keeper!! Am I my brother's burden bearer!! The social welfare system is an evolving array of policies and practices fueled morality design to address the needs of the people within any specific social system; motive by social values, social goals, and whom society deems worthy of aid and support. Initially, the phenomenon of reciprocity, altruism, and egotism was central, and the primary means of providing aid to the needy. Therefore, governments around the world placed the responsibility on families, and community through a charitable contribution. As evident the Elizabethan poor laws of 1601 was established; later adopted by colonial America, yet there remained pockets of racial and ethnic groups who remained destitute and ostracized by society as a result of racism and inequalities. Related: Social Welfare Reform: Child Support Policies Bias? I applaud all charitable organizations: That have been and are contributing factors in elevating the quality of life for many of the American people, however, there remains to this day a certain percentage of bias when distributing resources and opportunities to the people of this great nation are truly in need. 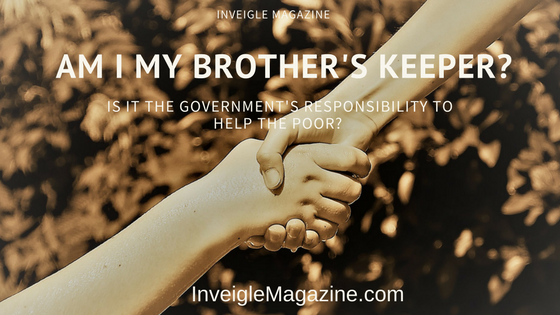 Am I my brother's keeper? Am I my brothers' burden bearer? Is it the Government's responsibility to help the poor? Causes of poverty: It is my belief that poverty is a result of limited access to resources and opportunities due to past and present inequities, the mismanage of tax dollars, conflicts between personal subjective values, organization values, and social values, lack of education, lack of psychiatric treatment, the unequal distribution of wealth, low wages and laziness. It burns me up to see able-bodied people who refuse to work take advantage of social welfare programs; I just want to say(STOP TAKING ADVANTAGE OF US!!) We do not want to take care of you anymore!! Am I my brothers' burden bearer? Is it the Government's responsibility to help the poor? Genesis 4:9: Then the Lord said Cain," Where is Able your brother?" And he said," I do not know. am I my brother's keeper." Galatians 6:2: Carry each other’s burdens, and in this way, you will fulfill the law of Christ. 3 If anyone thinks they are something when they are not, they deceive themselves. 4 Each one should test their own actions. Then they can take pride in themselves alone, without comparing themselves to someone else, 5 for each one should carry their own load. 6 Nevertheless, the one who receives instruction in the word should share all good things with their instructor. 7 Do not be deceived: God cannot be mocked. A man reaps what he sows. 8 Whoever sows to please their flesh, from the flesh will reap destruction; whoever sows to please the Spirit, from the Spirit will reap eternal life. 9 Let us not become weary in doing good, for at the proper time we will reap a harvest if we do not give up. 10 Therefore, as we have opportunity, let us do good to all people, especially to those who belong to the family of believers.